This course is ideal for students with a particular interest in probability and statistics. 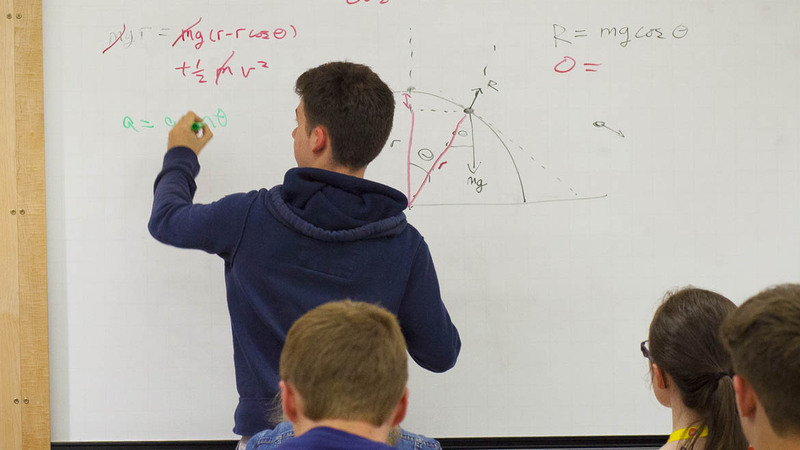 You’ll discover a variety of topics drawn from the first two years of Oxford’s undergraduate syllabus and you’ll get to try out some university-style problems which will get you thinking creatively. The course is a blend of pure and applied maths. On the pure side you’ll learn about the foundations of probability and you’ll learn to work with Markov chains, which are widely applicable mathematical objects used in areas as diverse as finance, thermodynamics and speech recognition technology. Meanwhile on the applied side you’ll get the chance to learn about the application of probability to the mechanism of protein folding, gaining an insight into the way computer code is used in analysis of complex datasets. Along the way you’ll discover a whole load of exciting mathematics introduced to you by guest lecturers and the Oxford undergraduates you’ll be working with. One of the highlights of the week is the problem solving competition, where you’ll team up with your coursemates to answer a range of mathematical brainteasers. This is a great opportunity to develop your collaboration skills and possibly to even win a nice prize. You’ll split your time between Oxford’s Maths department, where undergraduates would normally have lectures during term time, and the Department of Statistics. All the academic sessions will be run by Oxford lecturers and tutors – it’s a great simulation of what studying at Oxford is really like.